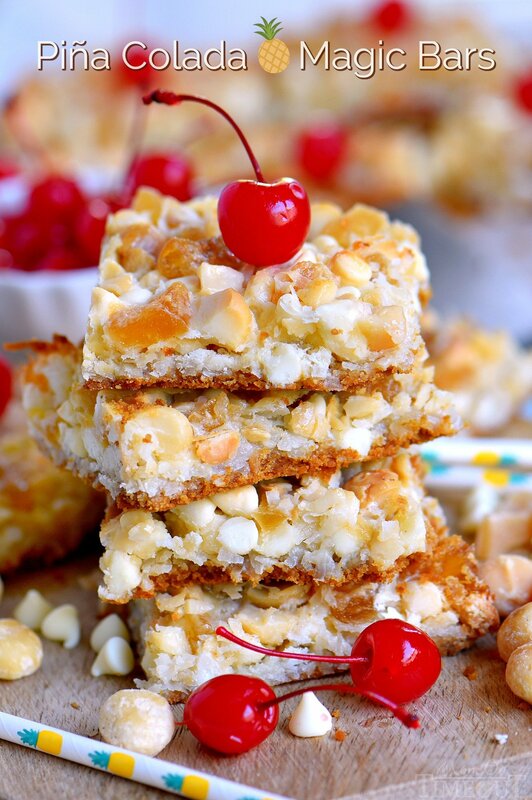 These easy Piña Colada Magic Bars marry the flavors of a Piña Colada with your favorite 7 layer bars. Soft and chewy with a taste of the tropics that everyone will love! 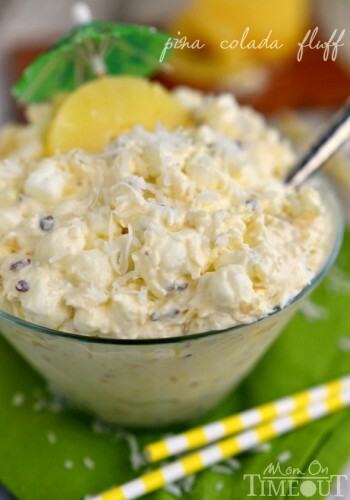 Love Make sure to try my Piña Colada Fluff, No Bake Piña Colada Cream Pie and Piña Colada Banana Bread! 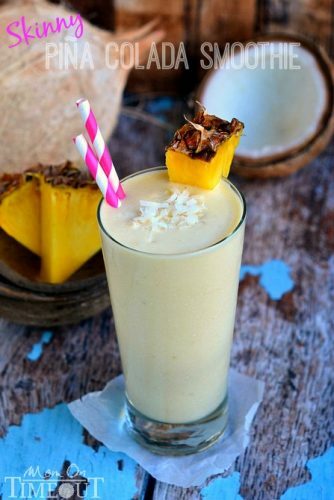 Nothing says summer like a Piña Colada. That tropical combination of pineapple and coconut will get me dreaming of an island paradise faster than anything else… Top it all with a bright red cherry and I’m never leaving. If you’ve been following along for any length of time you’re fully aware of my Piña Colada obsession. I’ve turned that amazing flavor combo into fluff, banana bread, pie, and even fudge. 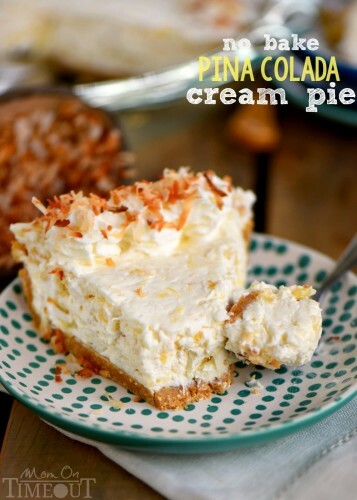 You can find more Piña Colada recipes here. Today I took everyone’s favorite dessert bar, commonly referred to as “Magic Bars” or “7 Layer Bars”, and turned it into a tropical treat that will have you dreaming of your next island destination. These bars are a breeze to pull together – a balmy, island breeze. It’s a simple matter of mixing together some graham cracker crumbs and melted butter for the crust and then piling on the goodness: macadamia nuts, dried pineapple, white chocolate chips and coconut to start. I used my favorite Challenge Butter for this super easy graham cracker crust. 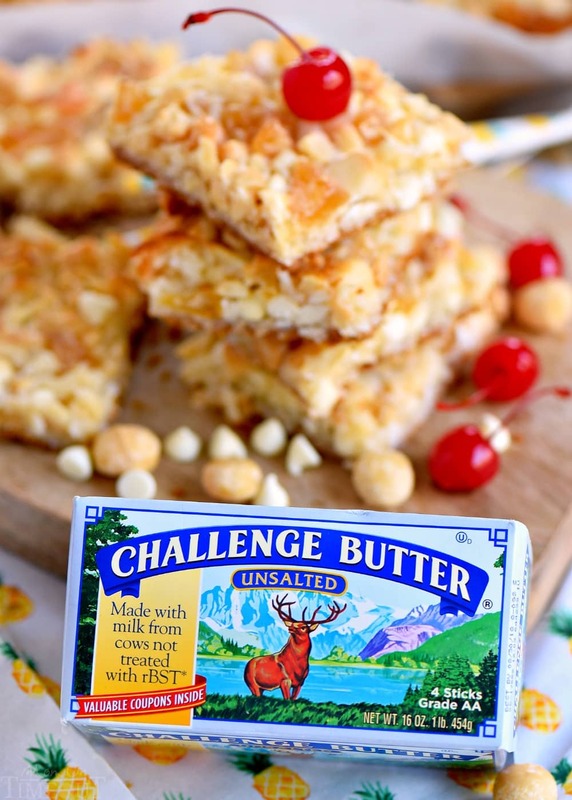 I use Challenge butter because it is made the old-fashioned way, from fresh milk and cream at family-owned dairies. << LOVE! It goes from farm to fridge in just two days and contains no added hormones, artificial flavors or fillers. 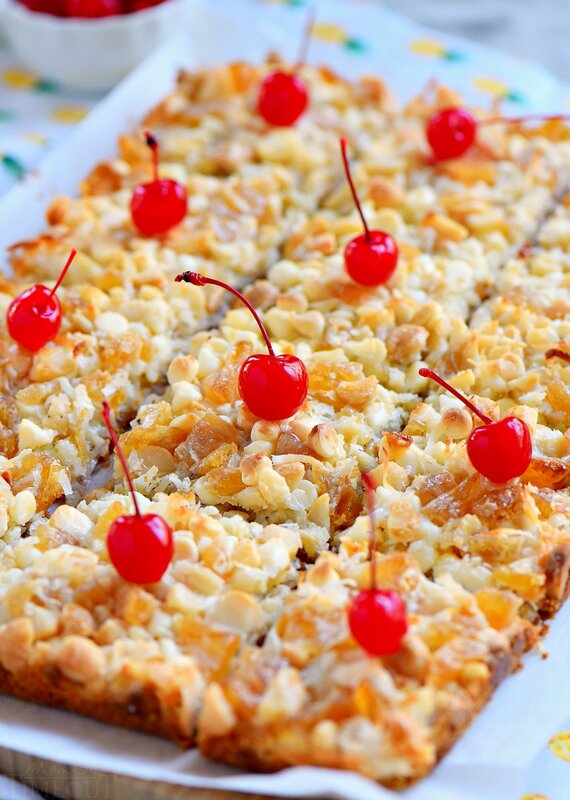 It’s both delicious and natural and perfect for these Piña Colada Magic Bars. To make them magical, a combination of sweetened condensed milk mixed with rum is drizzled on top and then off to the oven. Takes less than 10 minutes to pull together you guys, then about 23 minutes in the oven, and it’s worth every gosh-darned second. Now, I used real rum in this recipe but if you would prefer to leave the alcohol out, a simple swap with rum extract will do the trick. I used it in my Piña Colada Fluff and it’s amazing. I used a dark rum but any rum would work. I think next time I will try coconut rum – yum! I topped each bar with a maraschino cherry because that’s how I like my cocktails and desserts – fun and sweet. Everyone is going to love these glorious bars! Soft, chewy, and perfectly sweet! The best part is, you don’t even have to leave your home. Enjoy! 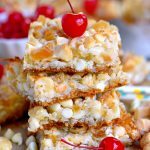 These easy Piña Colada Magic Bars marry the flavors of a Piña Colada with your favorite 7 layer bars. Soft and chewy with a taste of the tropics that everyone will love! Spray a 9x13 pan with baking spray and line with parchment. Set aside. In a medium bowl, combine graham cracker crumbs and melted Challenge butter. Stir with a fork until combined. Press graham cracker mixture into the bottom of the prepared pan with a spatula or your fingers. In a small bowl, combine sweetened condensed milk and rum or rum extract. Gently whisk until thoroughly combined. Set aside. 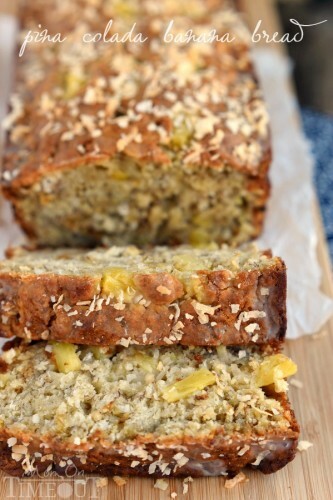 Sprinkle coconut over the top of the crust, followed by the white chocolate chips, pineapple, and macadamia nuts. Drizzle the sweetened condensed milk mixture evenly over the top. Bake for 23 to 27 minutes keeping a close eye on the bars starting at 20 minutes. You'll know they are done when the edges lightly brown. Your recipes always brighten my day…, but the smile on your face and the simple extra tips you suggest for changes are a nice PLUS. 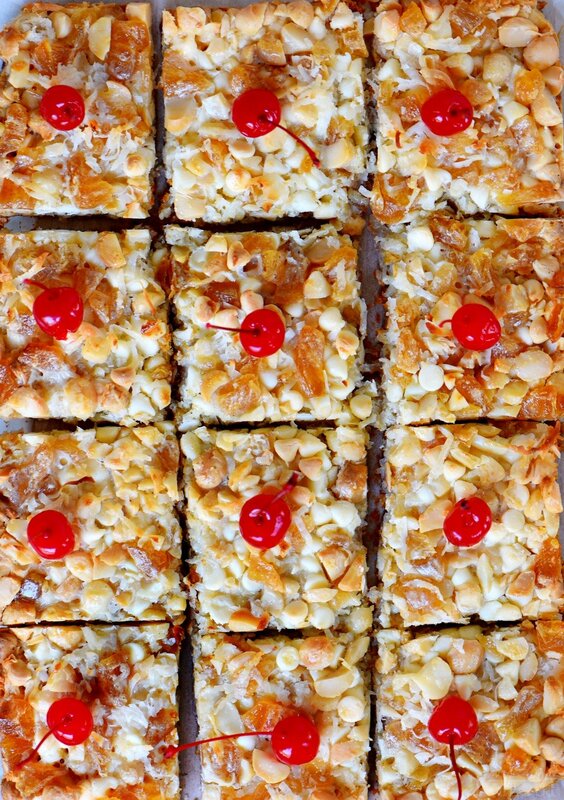 These pina colada magic bars sound really goood! Thank you so much Judy – that means a lot to me! I hope you have a wonderful weekend! they look yummy…will have to make them soon. Super good and EASY too Saundra! Have a great weekend!